Last night I had another occasion to visit my favorite Sushi Restaurant Sushi Ko in Aoba Koen/青葉公園/”Green Leaves Park” in Shizuoka City. I go through many of my own traditional enquiries before choosing my morsels, and one of them is to find out what is on the “sashimi menu of the day”! 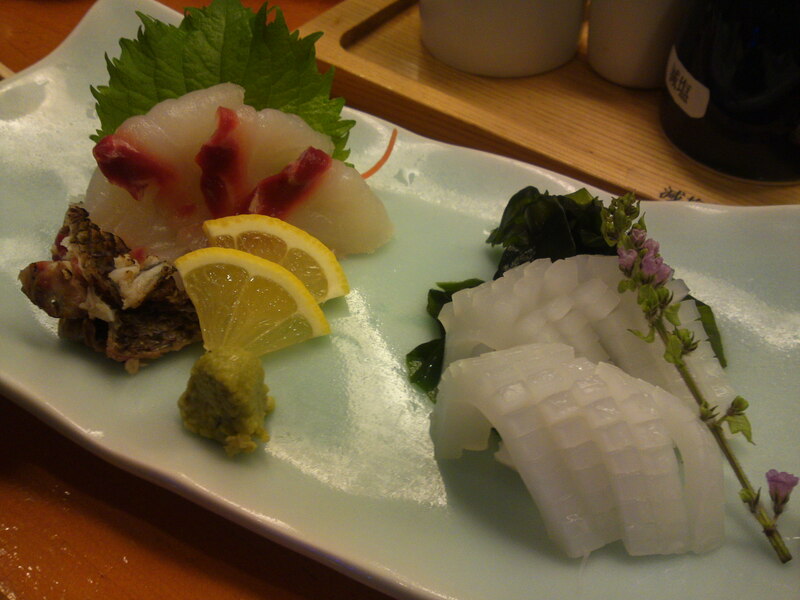 The fish is not only served as sashimi, but being very fresh (actually alive in a tank at Sushi Ko! 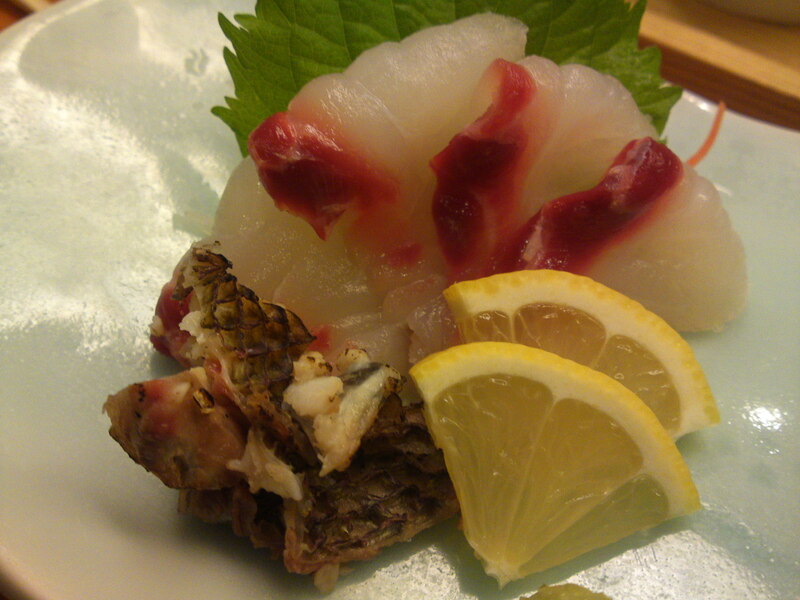 ), it is also served with its skin in aburi/炙り/grilled style! The flesh is extremely tender and almost sweet. No wonder it is so prized in Japan! Sushi Ko serves it in strips that have been indented at regular spaces for an easier bite and for a better exposure to taste. 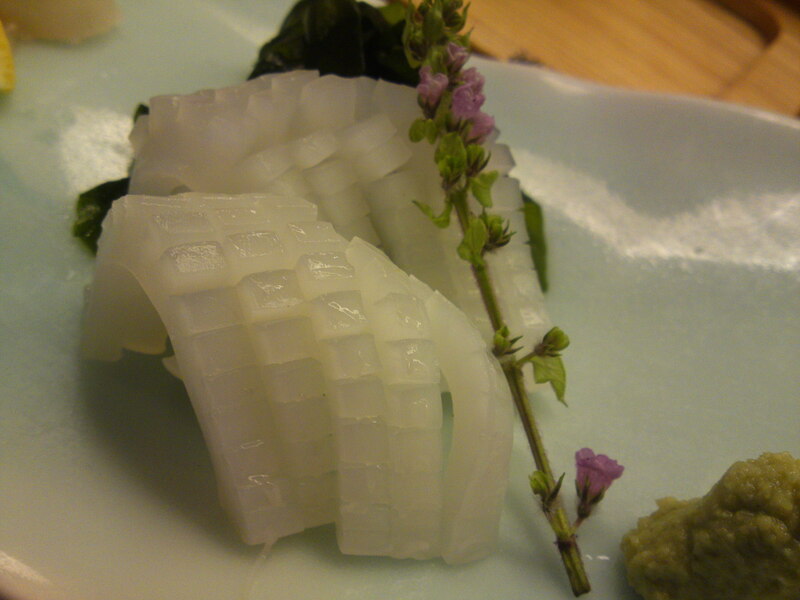 The cuttlefish is in fact easy to chew and very tasty! Notice the edible perilla/shiso/紫蘇 flowers and garted wasabi from Shizuoka, too! Previous PostToday’s Lunch Box/Bento (’10/72): Te-Mari sushi BentoNext PostSushi: Shizuoka Marine Products from the Ocean to the Gastronomic table: Ginta!